This holiday shopping season users might get to see the launch of the rumored loyalty rewards program that Apple was to launch alongside Apple Pay 2.0 in October 2015. Recent reports suggest that Apple may have pushed up the launch date, given the so far smooth roll-out of Apple Pay, and otherwise market demand. The pilot program has Apple developing partnerships with multiple retailers to offer loyalty rewards. 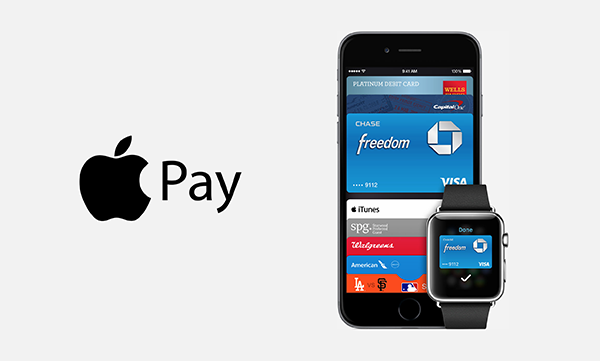 Apple is reportedly planning to monetize Apple Pay by integrating iAds with the service. Apparently, iBeacons and Bluetooth LE will be used to push targeted ads to customers, who will see a tap-to-buy button in Apple Pay. For example, if you’re shopping in a partnered retail store, you will get a push notification from Pepsi, telling you about a deal they’ve made with the store you’re in. You have to wonder if Apple Pay users will be able to opt out of these iAds, as many users are concerned about having ads appear in their overall experience. We can’t truly know for sure what design or shape the loyalty rewards program takes, just yet. Some inside reports are claiming that any launch of the program this holiday season is unlikely, given the short time that the program has been alive for. Earlier, a job opening at Apple for the Senior World Wide Partner Marketing Manager position sparked some serious speculations about Apple’s development of a major program that focuses on third-party partnerships. However, with still no specifics to go by, the holiday shopping season is just around the corner. Apple Pay may be working at over more than a 220,000 partnered retail stores that accept contactless payments via NFC, but Apple has plenty of locations to still partner up with for their service. With Apple still working hard on these partnerships, will the company actually be able to launch a loyalty rewards program with partnered stores so soon? Perhaps it can, using a certain few retailers as part of a pilot project in a much needed real-time environment. Are you excited about such a program heading your way, or are you more concerned about ads popping up on your iPhone? Sound off in the comments section below! in other words, corporate drone sir Crook the fagget is selling off usability of an iBend to third party assholes. I won’t use it if there are ads. My last pay <-chec,k was $9500 working, 12 hours a week, online. My neighbour's sister has been averaging, 15k for months,, now and she works, abou,t 20 hours a week,. I can't, believe how, easy it was once I tried it out,.,,,. Just get Starbucks & Chipotle on board with NFC PAYMENT and I’ll be happy af.